On Tuesday, February 5, the Los Angeles County Board of Supervisors approved a landmark public-private partnership that will get a significant amount of funding into the hands of community-based organizations focused on keeping kids out of the juvenile justice system by offering an array of much-needed services and opportunities. Through the partnership, the LA County Probation Department will redirect $3.2 million in Juvenile Justice Crime Prevention Act (JJCPA) funds to two top LA-based foundations–the Liberty Hill Foundation and the California Community Foundation–which will serve as financial intermediaries between the county and local organizations diverting kids from justice system-involvement. Tuesday’s action is part of LA County’s commitment to move away from subjecting kids to punitive incarceration in the nation’s largest juvenile justice system, toward a trauma-informed model for the youth who do wind up in the county’s care, and an increasing push for diversion. 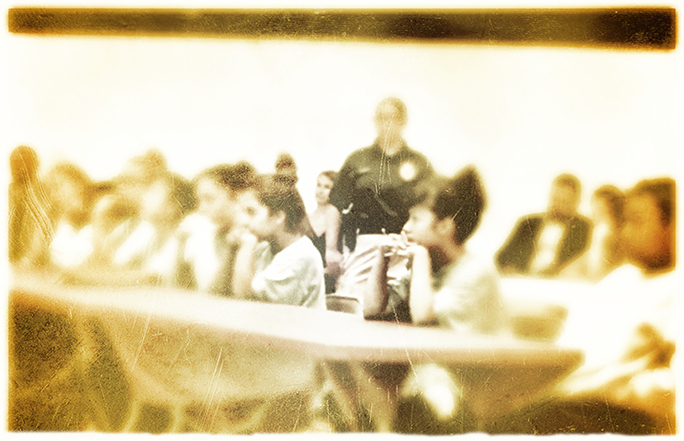 As the number of kids supervised by LA County Probation has steadily dropped in recent years, the department has shut down all but three juvenile halls, seven youth camps, and a specialized residential center, with plans for additional future closures. Yet the work of diverting kids is still in the beginning stages, as is the newer movement toward youth development, which attempts to go upstream of system contact to prevention, by preparing young people to build strengths and thrive. One key way to boost youth development and diversion efforts in Los Angeles, according to Chief Deputy Probation Officer Sheila Mitchell, is to ensure that money makes it into the hands of organizations that are “proactively providing critical programs for our youth” at the community level. One of the reasons for the partnership is the fact that JJCPA funds and other caches of county money, including funding streams for vulnerable adults, have historically been difficult to obtain for many community programs, even those holding impressive track records in the community. A New Way of Life, Susan Burton’s nationally-known reentry program that demonstrably helps women returning from prison get back on their feet, reportedly backed out of a potential contract with LA County after being faced with repeated lengthy delays and a series of unwieldy obstacles. Smaller local operations with limited infrastructure and resources can find the path to funding blocked, but even larger, well-known organizations have often had trouble hitting all of the county’s marks to win a contract. The agreement announced Tuesday, aims to streamline the process, so that the county no longer passes up on proven programs. Those orgs that CCH and Liberty Hill select will receive specialized coaching and other supports to grow their operations. The more than $30 million that LA County receives yearly from JJCPA is specifically designated for evidence-based community programs aimed at keeping kids who have had contact with the juvenile justice system from returning, and to keep kids at risk of landing in the system from entering it in the first place. Yet, before Mitchell and Probation Chief Terri McDonald arrived on the scene in January 2017, to run the department, there were repeated controversies about the way JJCPA funds were spent, and about who decided how they were spent. This is part of why youth advocates see the new partnership as a genuine signal of change. This new public-private partnership is “a very important shift in a system that has historically been much more focused on risk management,” says Efrain Escobedo, California Community Foundation’s Vice President in charge of education and immigration programs.